1. 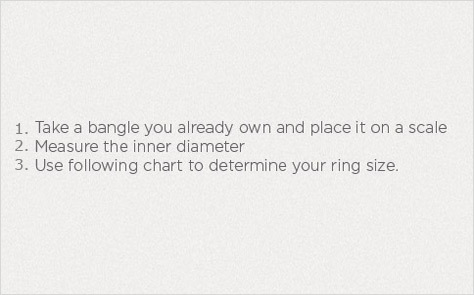 This is a chart that will be extremely helpful for you to determine the bangle size that you need. 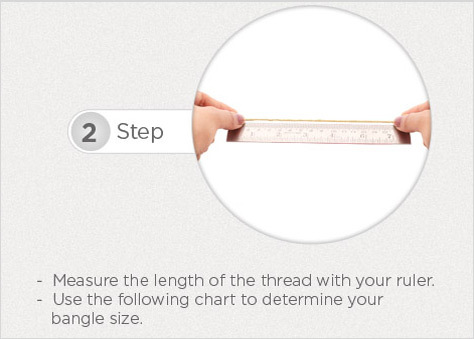 Measure your hand, you will need a measuring tape or a piece of paper and a ruler. 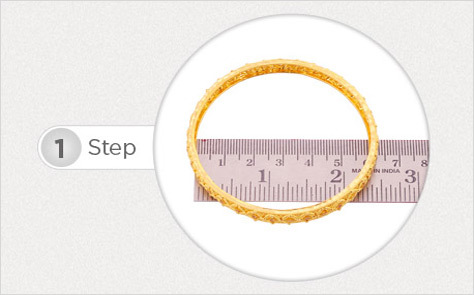 Bring your thumb and little finger together and measure were your hand is the widest as shown in the picture. 100% Money Back Guarantee! Full product refund given on UNWORN Returned Merchandise, please e-mail us for a return authorization within 14 days of receipt. Shipping fees are NON REFUNDABLE. We guarantee our workmanship & guarantee everything we produce. Any changes, adjustments, or special requests are free of charge. Just ship your item back to us, with clear instructions and we'll make the change(s) as requested. (NOTE: This does NOT include additional gold to make a piece larger if you miss-ordered, but we’ll still help you. If you redesign a piece after you receive it, it doesn’t include extra gold or products needed, but we are still here to help you.) We only accept payment via Paypal. Please send to our Paypal We only ship to confirmed address. Payments are expected within 3 days after last auction ended. If the payment is not received within 5 business days, order will concern void and unpaid complain with file through ,. Order will ship to shipping address provide in ,. Please confirm the shipping address is same as your billing/Paypal address.